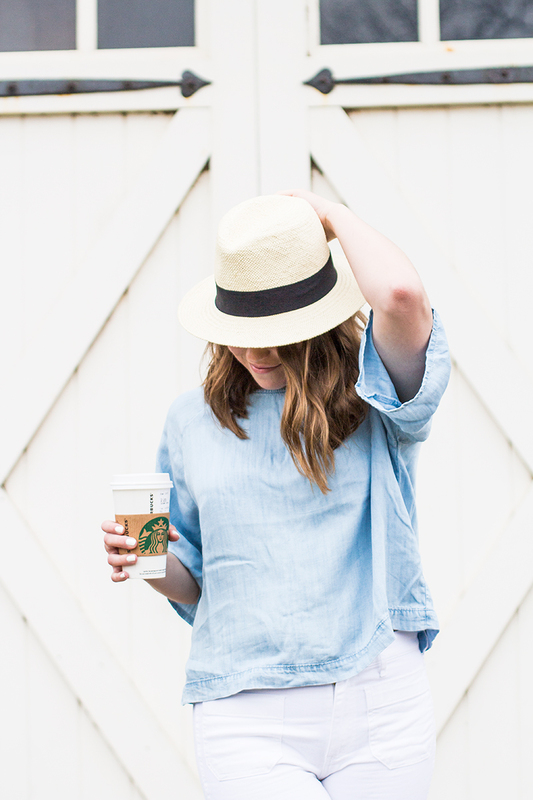 Chambray tops, straw hats, and white pants...that's how nice the weather was this weekend! I was able to throw on some spring essentials. I'm not going to lie, I was ready for spring. This past winter was a rollercoaster and I am hoping things settle down a bit with the nicer weather. After seeing everyone head somewhere warm for spring break, I can't help but want to do the same thing. Either that, or have myself a staycation at home and relax! 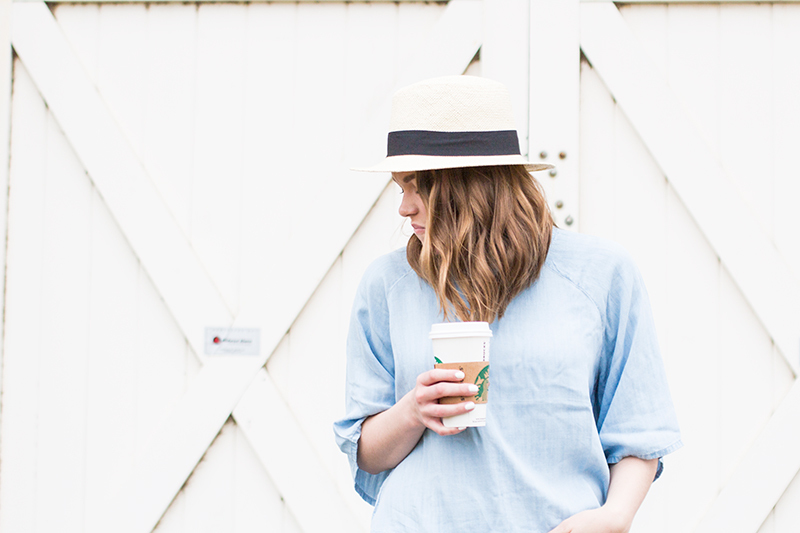 I am obsessed with this chambray top. It would look so cute paired with skinny jeans or a darker denim wash. 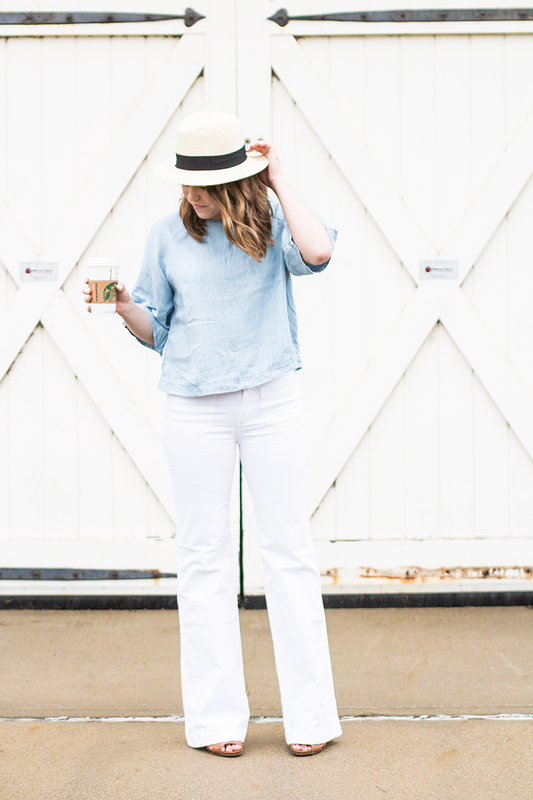 I was very hesitant about these white, wide-leg denim pants but I am so glad I made the purchase! 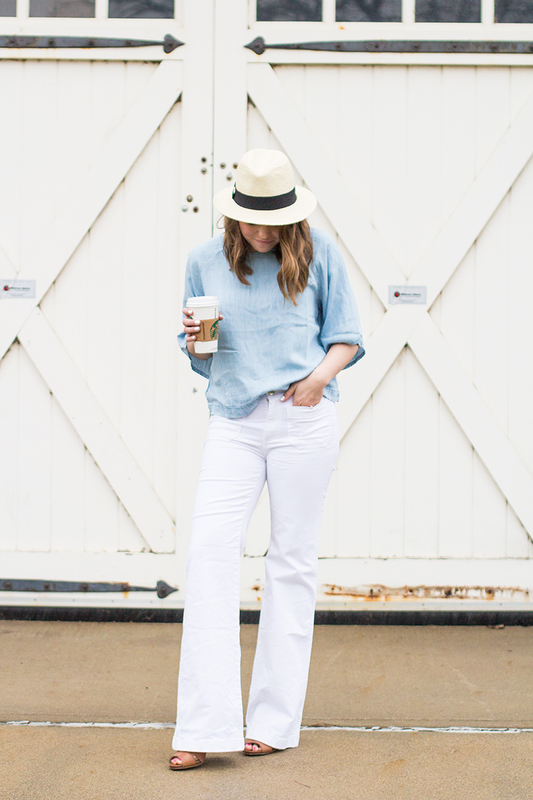 I have tried on white denim before and I always felt like they made my legs look really big but the wide leg has the reverse effect. 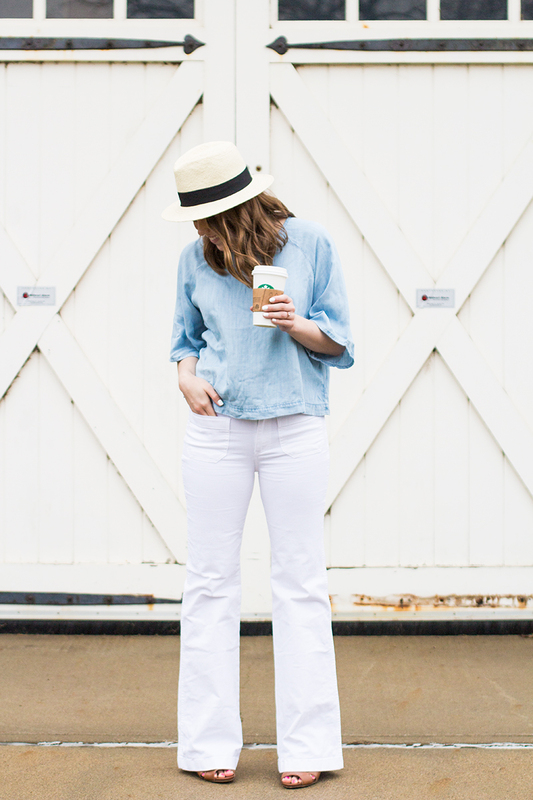 If you need a classic pair of white denim pants...go try these on! 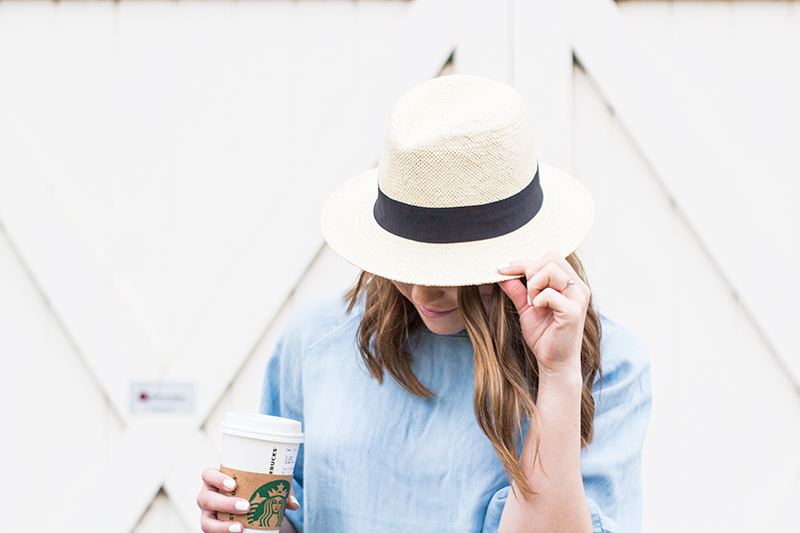 One of my favorite ways to protect my face in the spring and summer months is with a hat! This straw one is lightweight and great quality. It will definitely be my go-to this spring. P.S It's kind of funny how my whole outfit is from Gap but I am really impressed with their spring and summer clothes right now. 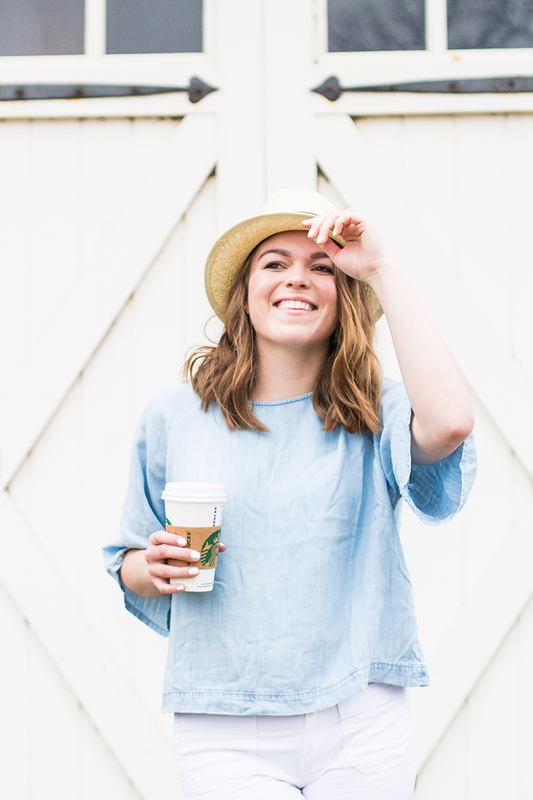 If you need to stock up on the basics, head to Gap!